Join the revolution, become part of the Red Faction. 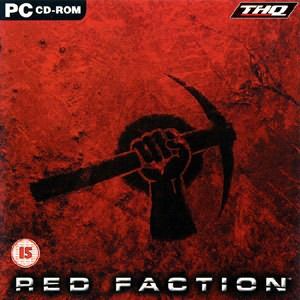 After briefly playing Red Faction on the PS2, I was a little bit dubious of the PC version because as we all know, ports never work. 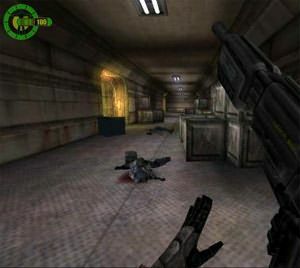 Red Faction uses a new FPS engine called the "Geo-Mod" that lets players alter the environment they are playing in. Although very limited, and does not really change the story or outcome of the game, its more a case of eye-candy. However, I must say, its very enjoyable using the "Geo-Mod" engine on mutilplayer levels where there are tons of glass windows or walls you can destroy. 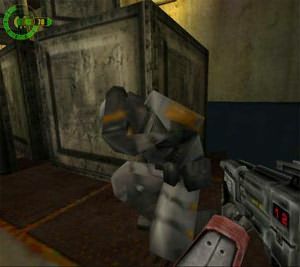 The graphics of Red Faction are almost up there with Unreal and Quake 3, however the flaws of the PS2 version sometimes sneak into the PC version. Polygons may sometimes glitch and in a few places you can actually get stuck in the game, unable to move. Most of the ingame cinemas are top class but some of the movies throughout the game look terrible as they have been converted from the PS2 resolution to a high resolution on the PC. This only happens very rarely. Just because this is a PS2 port, does not mean you have to run away because Volition have re-written many aspects of the game and have given the graphics an edge with sharpness and clarity, only seen on monitors. Choose from a variety of resolutions and colour modes. Apart from its small problems, Red Faction is a very entertaining and enjoyable game that gives us a true feel of "old skool" single player storyline mode, that is lacking from many of the games coming out now. Volition has given the PC version new multiplayer maps that I must say are awesome when playing over a LAN or on the net. The only problem of the PC version is the inability to add bots to the game like the PS2 version. The sound is Red Faction is a little on the average side but it has a very likeable and movie type soundtrack that helps you get in the mood of the game. I thoroughly recommend this title to anyone who loves "old skool" first person shooters. The PS2 version was great and the PC version is just that tad bit better.